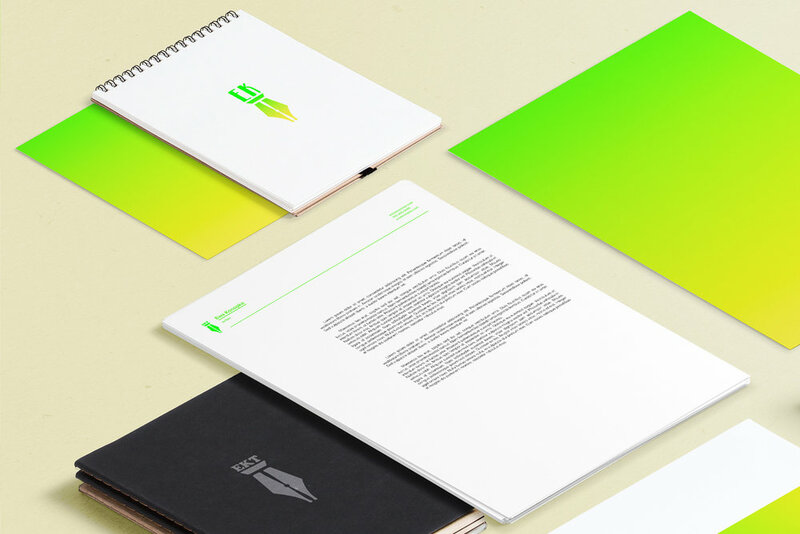 A personal branding project for a writer and pilot. The dynamic mix of these two sparked the idea of combining two iconic symbols in the logo mark. The propeller and fountain pen form a fun and playful negative space design. The dynamic combination inspired the idea of a very bright, neon color palette.